Both of Alaska’s U.S. senators welcomed the Monday decision to delay the vote on U.S. Supreme Court nominee Brett Kavanaugh in order to hear from both the nominee and his accuser. The Senate Judiciary Committee was scheduled to vote on advancing President Donald Trump’s pick on Thursday, but facing pressure from within his own party–including from Murkowski–chairman Sen. Chuck Grassly delayed the vote. Murkowski initially suggested the committee “might” have to delay the vote, but that resolve hardened later on Monday in a tweet that said Christine Blasey Ford, whose name became public in a Washington Post story over the weekend, “must” be heard by the committee. The committee will now hear from Kavanaugh and Ford, whose name became public in a Washington Post story over the weekend, on Monday. Sullivan, who’s been a firm ally of Kavanaugh and one of the first senators to announce his plans to support his confirmation just days after Trump’s announcement, also commended the delay. It’s worthwhile to note that Alaska’s senators are taking the allegations seriously, avoiding the politically perilous–and morally repugnant–position adopted by other Republicans of attacking the credibility of a woman bringing forward an accusation of sexual assault. As always, political attention will be laser-focused on Murkowski’s vote on Kavanaugh. She’s still in a position–along with Maine Sen. Susan Collins–where she could help defeat or secure his confirmation. The allegations against Kavanaugh, which add to a growing mountain of concerns raised against the nominee, will also give new ammunition and energy to his opponents, who’ve been organizing regular protests and demonstrations outside Murkowski’s offices. 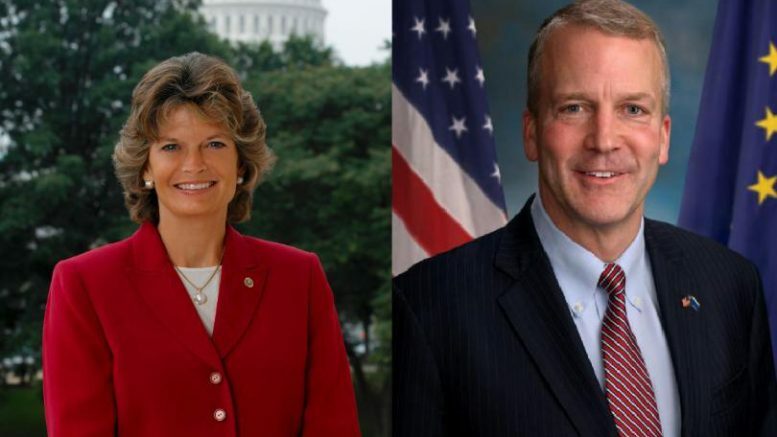 Be the first to comment on "Murkowski and Sullivan welcome delay on Kavanaugh vote to respond to sexual assault allegations"